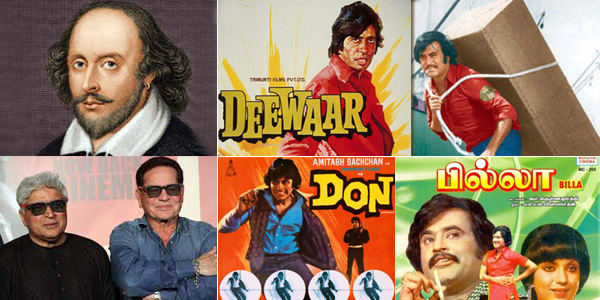 Truly writer duo Salim-Javed is Shakespeare of Bollywood! The award was presented to them by eminent filmmaker and himself a proficient writer Rajkumar Hirani. While Javed Akhtar was present, Salim Khan, who is recuperating from his hernia surgery that was performed recently, could not be present but on his behalf his son Sohail Khan accepted the award. Speaking about the amazing contribution of Salim Javed to Indian Cinema Rajkumar Hirani recalled an interesting anecdote that speaks volumes about the popularity of Salim Javed as a ‘star’ writer duo. Salim Javed definitely commands respect because in an industry where writers are considered next to a clerk Salim Javed changed the scenario. From their very first film HATHI MERE SATHI they demanded high remuneration, almost five times more what was offered to other writers. In fact by the mid 70’s their remuneration reached its peak and they charged more than superstar Amitabh Bachchan! And last but not the least all their films that were remade in South Cinema like Rajinikanth’s hit films BILLA (Remake of DON) or THEE (Remake of DEEWAAR) had their names in credit and they were offered remuneration. Such a thing has never happened in the history of Indian cinema till date! Only Salim Javed has this rare honor!! 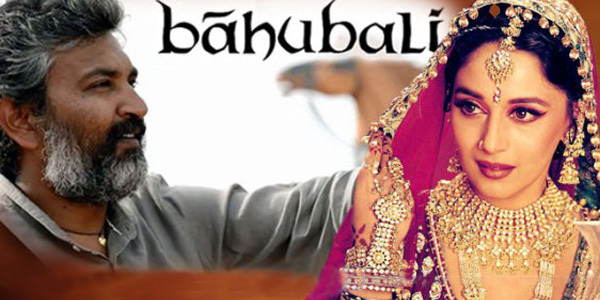 Bollywood Diva Madhuri Dixit in BAAHUBALI 2 or is it another rumor? It seems rumor mills these days are working overtime that’s the reason each day we hear top stars associated with big banners movies and the next days it turns out to be a rumor. 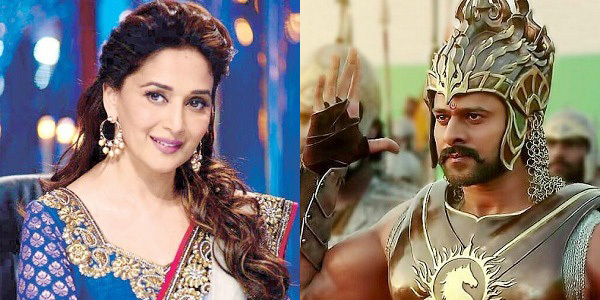 The recent buzz is that filmmaker SS Rajamouli, who created box office history with BAAHUBALI, has approached Bollywood Diva Madhuri Dixit for his upcoming sequel of BAAHUBALI -2. Insiders claim that impressed by the Hindi dubbed version of BAAHUBALI earning over Rs. 111.56 crore SS Rajamouli has decided to rope in Bollywood actors so that the Hindi version of BAAHUBALI -2 is able to earn more at Bollywood outlets. Sources close to the filmmaker say Madhuri Dixit has been approached to play the elder sister of Anushka Shetty's sister in the second part. Though the role is not big but it is vital to the story. Whether Madhuri Dixit would give her nod is still awaited with bated breath and if she does than BAAHUBALI -2 would surely turn even grandeur. However what is disturbing is that with umpteen rumors witnessed in the last few days like South sensational star Prabhas playing main antagonist in DHOOM 4 or Hollywood iconic superstar Sylvester Stallone playing lead role in Salman Khan’s SULTAN etc. one wonders the news of Madhuri Dixit does not turn another rumor!!! Another rumor that has kept the film buffs hocked on their seat is about Hollywood actor Anold Schwarzenegger in Rajinikanth starrer ENTHIRAN 2 (Robot 2) ever since the Terminator star attended the music launch event of Shankar's Vikram-starrer film I in September last year.